An interesting nose presents citrus blossom and tangerine skin nuances on the otherwise more typical red currant and earth aromas. There is good energy to the more obviously mineral-infused medium weight flavors that possess equally good depth and length on the balanced finish where the supporting tannins are not quite as refined. I like the balance and this should repay up to a decade of cellar time. Driving up from Beaune, Nuits-Saint-Georges marks the start of the Cote de Nuits, the northern half of the Cote d’Or. The appellation is split into two by the river Meuzin and the town which hugs it. Although there are no grand crus, there are a wealth of premier crus (27 in total) ranging in style depending on vineyards particular aspect and geology. However generally speaking, those to the north bordering Vosne tend to be one the more fruit forward and elegant side. Good examples of premier cru from the north include Les Damodes, Aux Murgers, and Aux Cras. The vineyards to the south are often held to be the richest and most ageworthy. 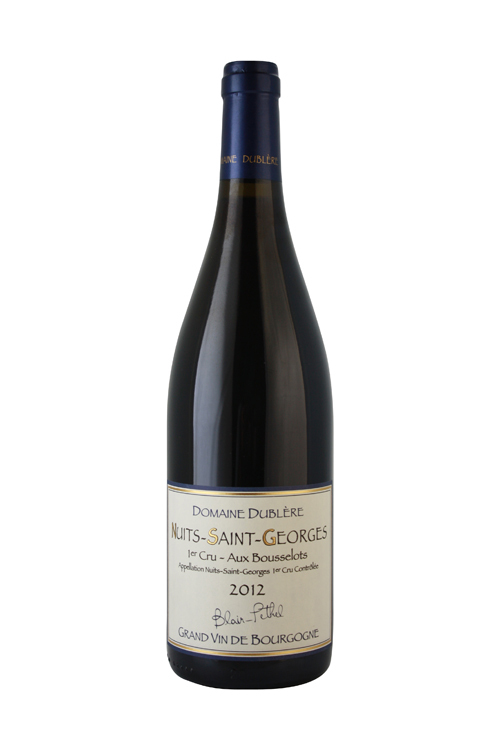 They include but are not limited to Les Poiret, Les Vaucrains, Les Cailles, and not least Les Saint Georges, which, viewed by some, is reaching grand cru quality. A little white wine is made, mostly notably from Domaine Pacalet and Patrice Rion, the latter who has a few Chardonnay vines in the premier cru vineyard, Les Terres Blanches, located in the adjoining village of Premaux, the wines of which are sold as Nuit-Saint-Geroges.